How Long Do Passion Fruit Vines Live? Passion fruit vines are members of the Passifloraceae family of plants. These fruiting vines originated in the American tropics. 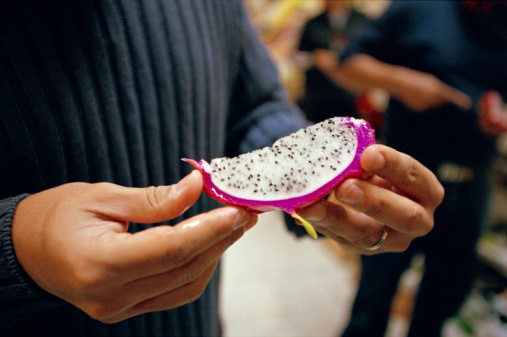 Countries that grow and produce passion fruit for commercial purposes include Brazil, Australia and South Africa. Compared with many varieties of fruit trees and vines, passion fruit vines have a rather short life. Passion fruit vines have a limited lifespan. Passion fruit vines produce either purple or yellow fruit. The yellow varieties are tropical plants, while the purple ones grow in subtropical conditions and can withstand light frosts. The plants produce dull white blossoms with dark blue centers. The fruits on the vine mature approximately 75 days after the flowering stage. As with all plants, the growing conditions can affect the overall health and lifespan of passion fruit vines. Passion fruit vines are tropical plants that survive for more than one year in suitable climates. Some vines live up to 10 years old, but most only live for three to five years. These vines reproduce through seed production and vegetative cuttings. The cuttings provide earlier and more abundant blossoms than vines grown from seeds. The dried seeds may take up to two years to germinate. Like annual plants, passion fruit vines grown in cool climates may blossom the first year from spring, but will fail to survive hard frosts during the winter months. Other factors that can shorten the average lifespan of these plants include limited sunlight, poor soil, inadequate moisture and wind damage. 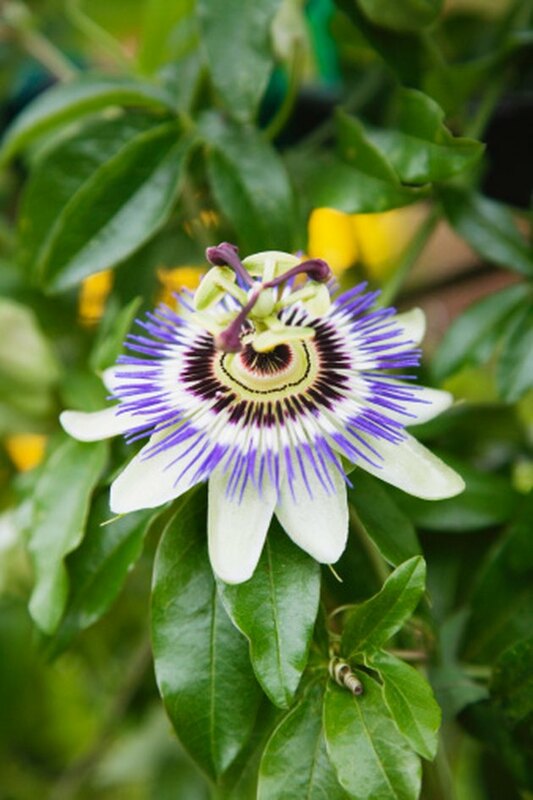 Proper care can help your passion fruit vine live as long as possible. Although purple passion fruit vines can survive light frosts, they do best in frost-free climates. Grow passion fruit vines in loamy, fertile soils that provide full access to sunlight. Providing the vines with a support helps keep them off the ground and minimizes the risk of fungal and bacterial diseases. These plants grow best in slightly moist soil conditions. Passion fruit vines are heavy feeders and benefit from the addition of compost during the planting process. Fertilizing the vines monthly during the active growing season helps guard against nutrient deficiencies, but too much nitrogen may hamper flower and fruit production. Select a balanced nutrient in a slow-release formula to promote optimal health.